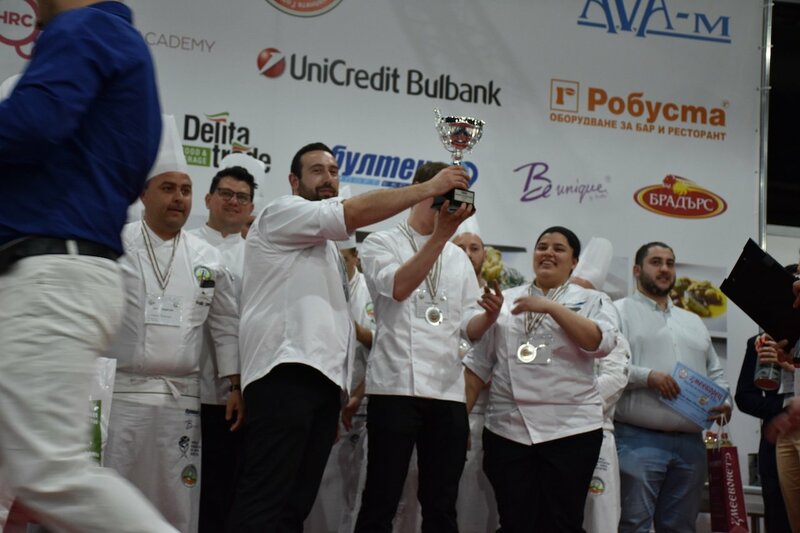 Chef Instructor Vasil Yakimov from Culinary Arts Institute at Varna University of Management won first place in the category for individual competitors, after two day battle with more than 20 competitors from all over the country. 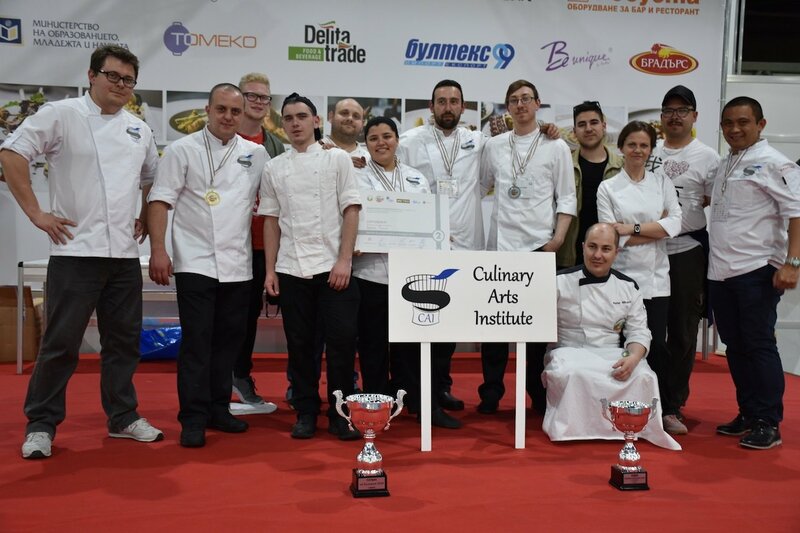 CAI Team also won, but this time second place in the category for “Best Culinary Team of Bulgaria” in 11th National Culinary Cup of Bulgaria 2018 – with leader Jr. Chef Instructor Kaloyan Kolev together with the students Andrea Chiang (Honduras) and Danil Dvoynin (Ireland), competing with eight teams from the country. Vasil Yakimov passed the first round of the competition themed “Modern Classics – Bulgarian History” with the preparation of a main course – lamb meat wrapped with spinach in a veil, and for starters a patatnik with pork. On the second day of the race, with the opening of the black box, Vasil prepared a tartar of tuna fillet with avocado mousse and for main dish quail with mashed potatoes and garnished carrots with grape and cognac sauce, and thanks to that he was awarded first place by the judges from Bulgarian Association of Chefs. The team of Chef Kaloyan won the second place with truffle soup and a quail roll with pistachios, demi glaze sauce with cognac and grapes, carrot puree with fennel seeds, potato chips and potato foam. Following the opening of the black box in the second stage of the competition, students together with Chef Kaloyan prepared a Foie Gras with orange sauce, a grilled mushroom sauce and shallot powder. The main dish was salmon with vegetables,Beurre blanc sauce, French beans, brown oil and semolina cream. The dessert was a chocolate bar Ganache, praline nuts and a caramelized banana with fresh blueberries, which ranked the team from Culinary Arts Institute shortly after the winners from a famous hotel in Sofia. CAI Students Presentation started with wine cocktails degustation prepared with wines from Plovdiv Region. We would like to thank Todoroff Wine Cellar and Plovdiv Municipality for the support!